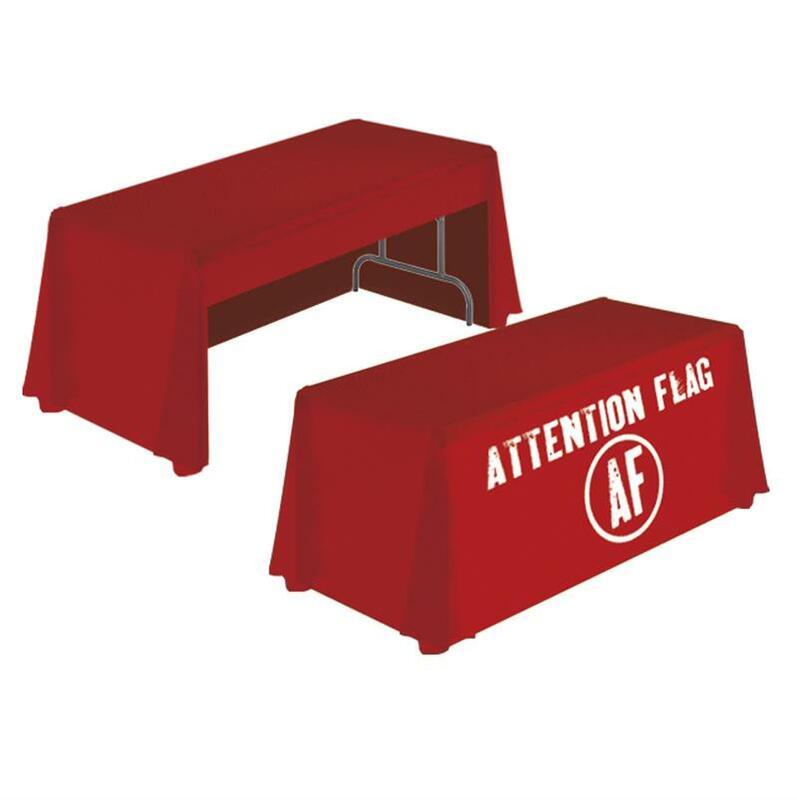 3-Sided Table Drape will Completely Cover 3 Sides and 10" on Back of Table. Digitally Printed, Print Anything, on Any Color Background! Machine Washable and Flame Retardant with Professional Finishing. All Table Covers are designed for standard table heights and depths.